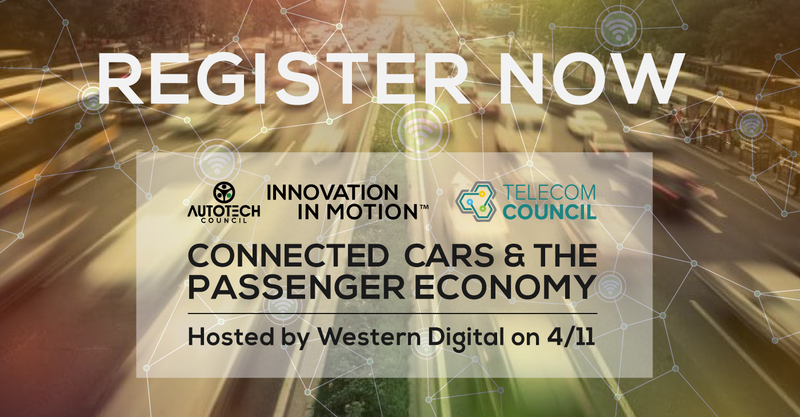 Autotech Council and Telecom Council come together on April 11 to discuss the Passenger Economy, the future of mobility services, the changes autonomy may impose on transportation, infrastructure and passengers, and how all of this gets connected, managed, and paid for. The full day agenda includes industry leaders, technology vendors, and industry analysts alongside startup pitches and tabletop demos. Morning Session: Innovating for Passengers, Afternoon Session: Connecting Passengers, Cars, and Infrastructure to Services.